Apple Inc. (AAPL): Should You Expect Profits to Decline for 1st Time Since Iraq? Apple Inc. (NASDAQ:AAPL) is clearly on the calendar in bright red ink for many analysts and investors this week, as the company reports its quarterly earnings Tuesday after close. And the wake of a two earnings reports that have not stemmed the downward slide in Apple stock since it reached its all-time high of $705 in September, this report could very well be the most important since Steve Jobs’ passing and at least one of the most important in the storied 30-year history of the company. But there are analysts who are predicting that a profit decline – something not talked about around Apple in quite a while – could be a possibility. Ever since the start of the Iraq war in 2003, Apple Inc. (NASDAQ:AAPL) has not failed to produce a higher profit number every quarter than the quarter before or the year before. There are analysts out there, however, who things the good times will stop rolling, and there may be a profits decline already figured into the price of the stock. Certainly, as with most companies, there does come a point where growth will slow down from the meteoric levels of before, and certainly after 30 years in public consciousness,that time was bound to come for Apple. But what would it mean if profits did end up smaller this quarter than last quarter, or (gasp!) smaller than this quarter a year ago? This could be looked at in a number of ways. But one of the measures of a profits decline to determine whether it’s legitimate is to look at the overall sales numbers, and numbers in regards to specific devices. It is certainly very possible that Apple’s profits decline could be a result of declining sales of the company’s premium-priced devices, while a case could be made that profits could be down not because of lagging sales as much as an increase in sales of devices that have lower profit margins tied to them (like the Apple Inc. (NASDAQ:AAPL) iPad Mini,as an example). While it seems like many are expecting a profit decline in this new report, what do you think? Will the decline – if it does happen, be more attributable to declining sales or to lower margins? Let us know your thoughts in the comments section below, and let us know your take – how does the cause affect your approach with the stock and with the company? Check out this analysts’ negative opinion on Apple Inc. (NASDAQ:AAPL) as well; it’s an interesting take. Radian Group Inc (RDN), Apple Inc. (AAPL): Here’s What This Big Value... Google Inc (GOOG), Apple Inc. (AAPL) & The Three Largest Surprises in... Facebook Inc (FB): Did It Launch the Branded Smartphone Phenomenon? 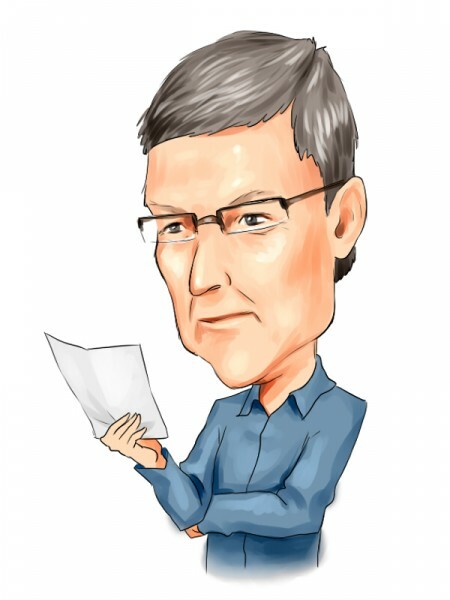 Apple Inc. (AAPL): The Single Greatest Challenge Investors Will Face on Tuesday... Apple Inc. (AAPL) Is Killing My Portfolio Apple Inc. (AAPL): How Cheap Will The “Cheaper” iPhone Be?